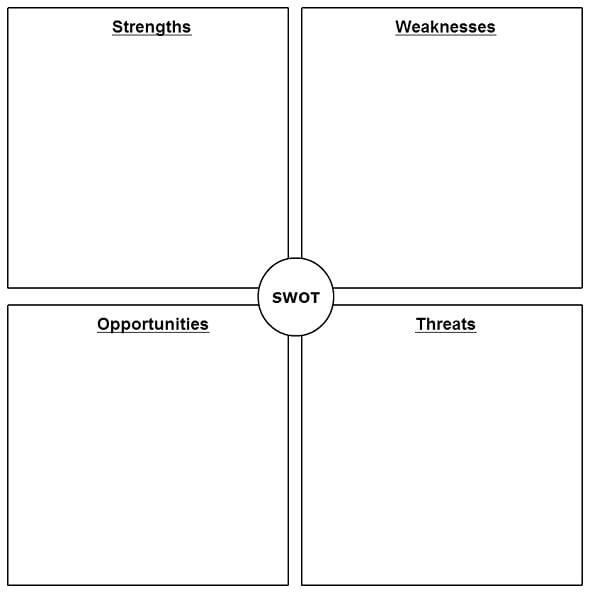 SWOT analysis is one of the most used strategic analysis tools and is used by start-up businesses, small enterprises, and large corporations. 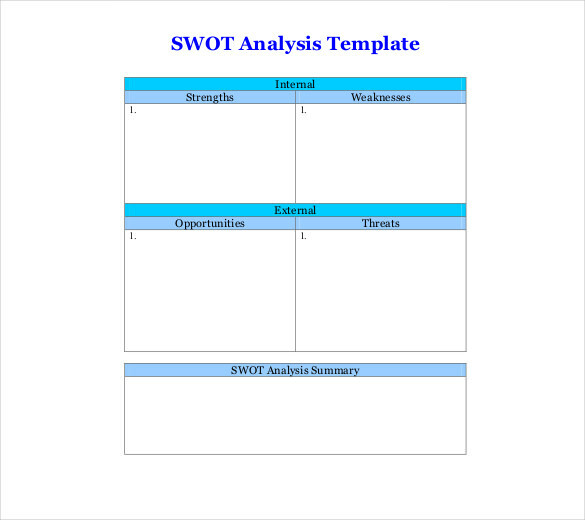 The reason why SWOT analysis is a popular tool is because of its effectiveness. It is almost always guaranteed to provide results as long as the intensive research is conducted for the SWOT analysis. 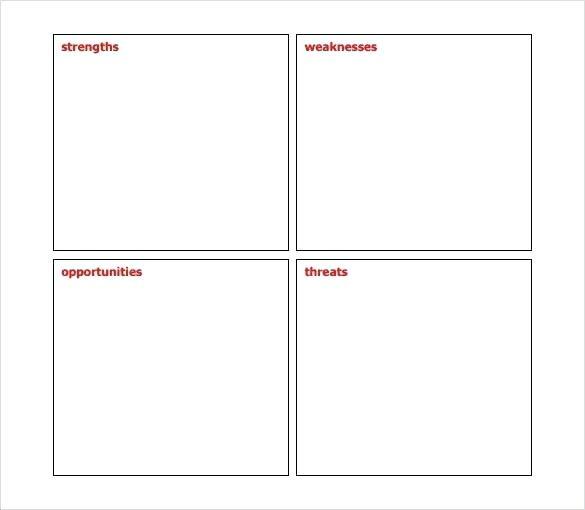 To help you create your own SWOT analysis, here are some SWOT analysis examples (in PDF) you can use as reference when you will be formulating your own SWOT analysis. The examples we provided are also free to download. 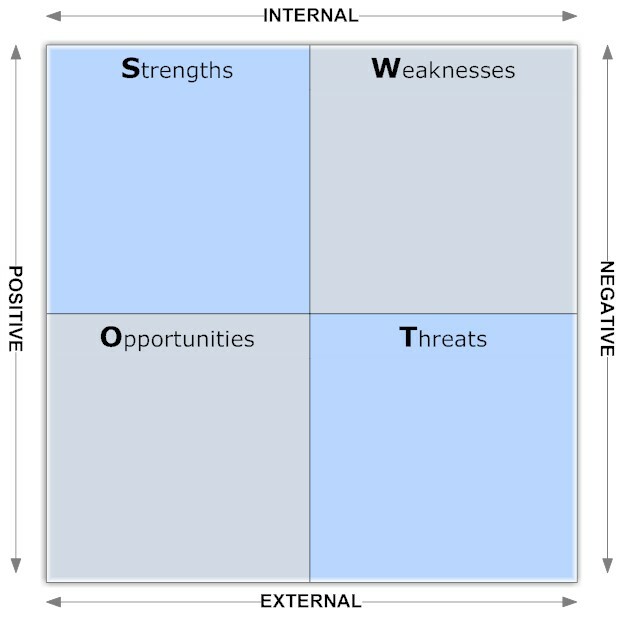 SWOT analysis stands for strength, weakness, opportunity, and threat. This tool is used to identify and analyze a business’s internal and external environment. 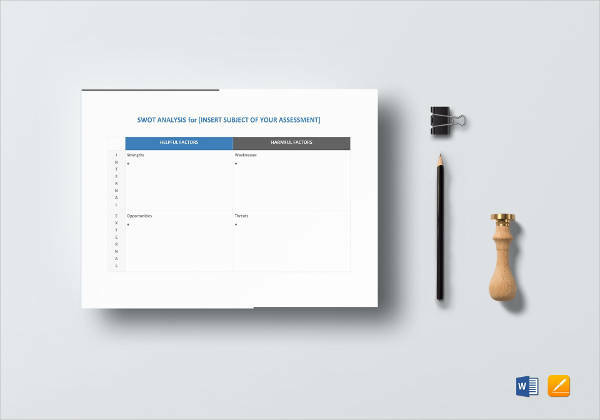 To give you further information on the different aspects that compose a general SWOT analysis, we have provided an explanation for each factor so that it will be easier for you create your own SWOT analysis. 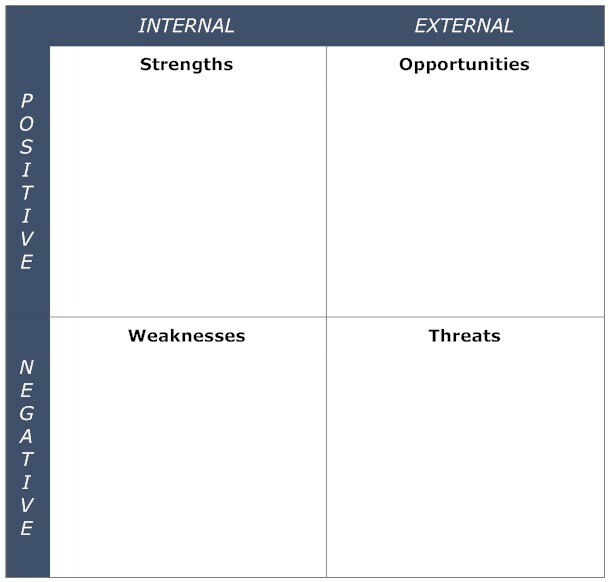 A SWOT analysis compromises of a matrix where strengths, weaknesses, opportunities, and threats are initially identified. To avoid writing full paragraphs in the matrix, insert bullets with short phrases instead. Comprehensive analysis then proceeds once the matrix has been created. 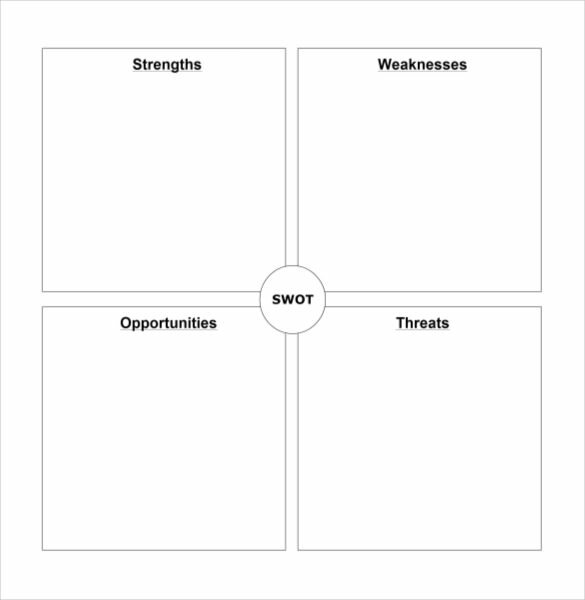 You may also see personal SWOT analysis examples. Strength is the first of two factors being identified in a business’s internal environment. The internal environment pertains to situations or activities where a business organizations can fully control. Specifically, situations or activities that business organizations can fully control are their products and services, employees and management team, company policies, and manufacturing and production methods. Basically, strength is where the company excels in its internal environment. It can either be by its products or services, or its production methods, but most of the time a company’s strength is directed at the products or services it is selling. The business organization would not be in business in the first place if its products do not sell at a consistent rate. 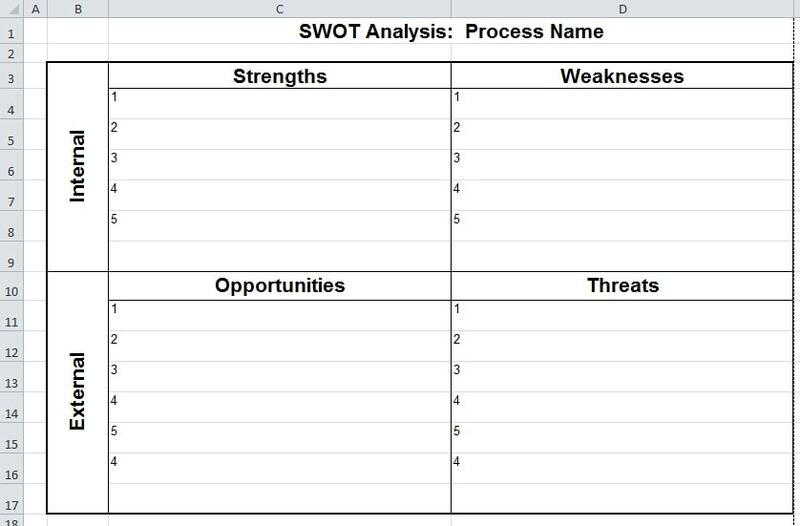 You may also like SWOT analysis worksheet examples. Revenue has increased for the past six months, with revenues for July setting a record-high for the past two years. Utilities expense for June and July have gone down, a positive result after the company implemented the “Save Energy, Save Lives” initiative last March. The company is currently revising its employee code and conduct which will then be presented to company employees for discussion in September. Weakness is the second of two factors being identified in a business’s internal environment. But compared to strengths, weaknesses identify where the business is struggling or even failing. A weakness is not identified to bring down or shame the business, but is identified so that the issue or problem will be solved for the company to avoid incurring financial losses. You may also check out hospital SWOT analysis examples. It is rare occurrence that a company identifies its own products and services as a weakness, unless the company as well as the industry it is operating in is struggling in the marketplace (i.e., changes in technology, customer preferences, demographics, etc.). 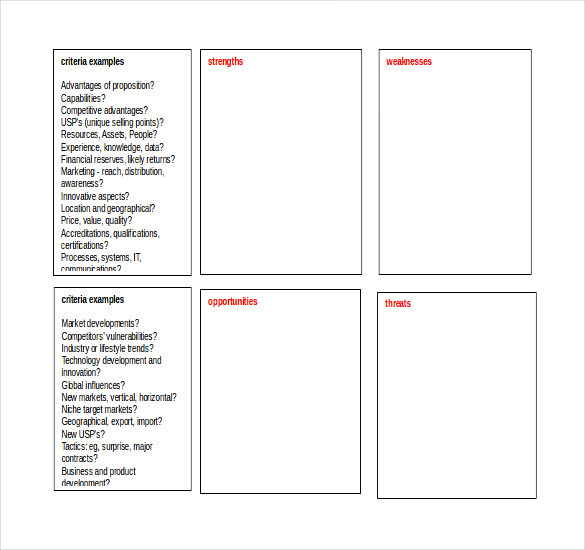 You might be interested in business SWOT analysis examples. 30% of company employees are experiencing tardiness issues, in which these employees are also experiencing inconsistency in their daily work production. Construction of the new office space has been delayed for the second straight month. If construction does not commence immediately, employees will not have any office location by the end of the year. Sales have decreased for the third month in a row. Moving on to the external environment, opportunities and threats identify and analyzes the company’s external environment. Compared to the internal environment, external environment pertains to situations or activities where a business organization can never control. Specifically, situations or activities that business organizations cannot control are direct and indirect competitors, government regulations, tax and fiscal policies, and changes in the natural environment. 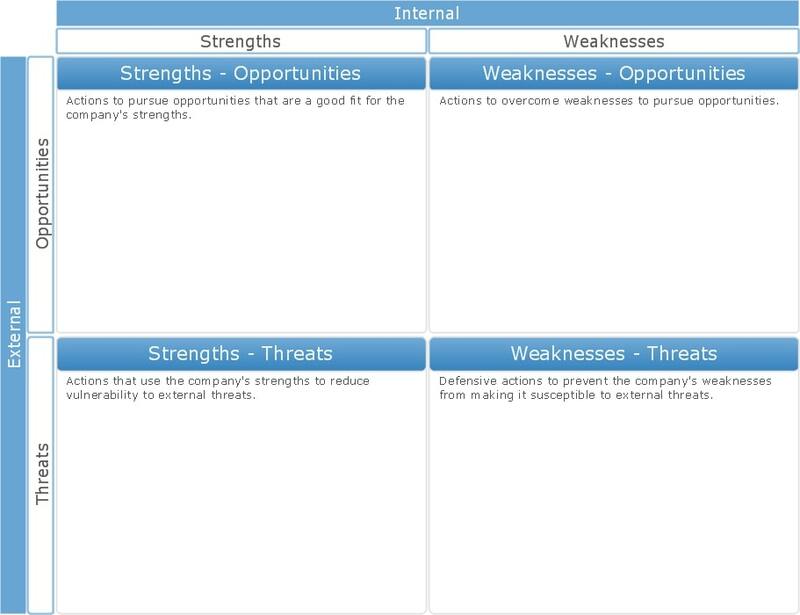 You may also see HR SWOT analysis examples. Even if the business cannot control its external environment, the external environment brings massive opportunities not only for the company to improve its products and services but increase its revenues and gain new customers. 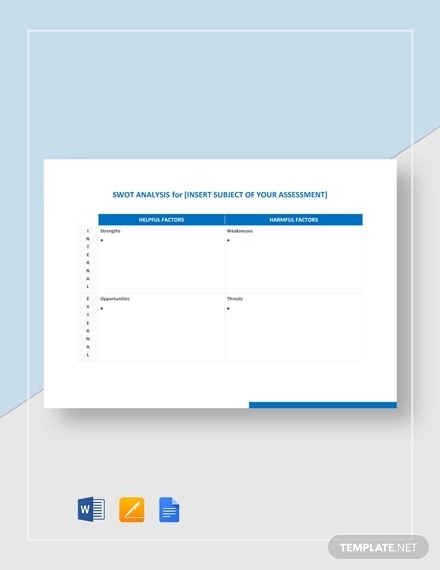 You may also like internal audit SWOT analysis examples. The national government is set to lower tariffs in the next year, which will be very beneficial for the company as expenses will be significantly decreased. The new mall that will be opening early next year will provide the company to reach out to new potential customers and clients. Changes in the external environment does not only provide opportunities but threats as well. Since they are external, they create numerous problems for any business. And if the business will not create an effective strategy, the business will incur heavy financial and human resource losses, which most of the time result in bankruptcy. Although threats are unpredictable, if the company can identify them in advance, they will become less susceptible and the impact will not create long-term problems for the company. You may also see manager SWOT analysis examples. Competitors are offering big discounts for their products. Government has increased tax rates for all agricultural products which will cause an increase in manufacturing costs and eventually increase of the product’s retail price. The company’s direct competitor has released a new product in the market. 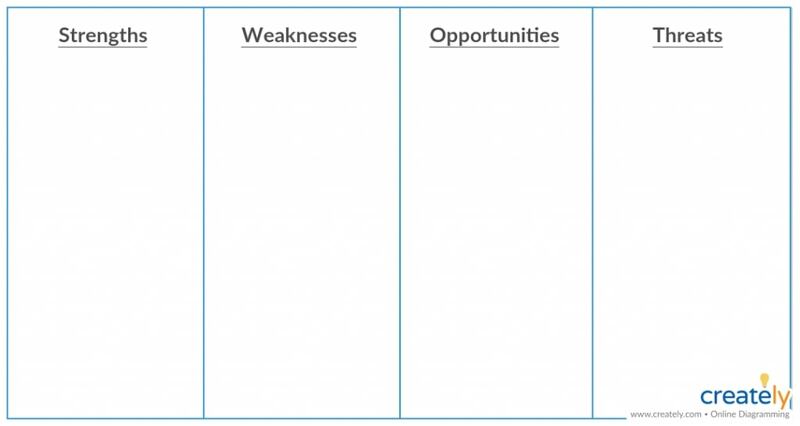 We hope you found this article to be informative as well as helpful when you will be creating your own blank SWOT analysis. We also provided some examples that you can use as reference.